Chia seeds, walnuts, flax seeds and olive oil are a few ingredients which do not have any relation amongst themselves but they all contain an essential fatty acid viz. omega 3 fatty acids. 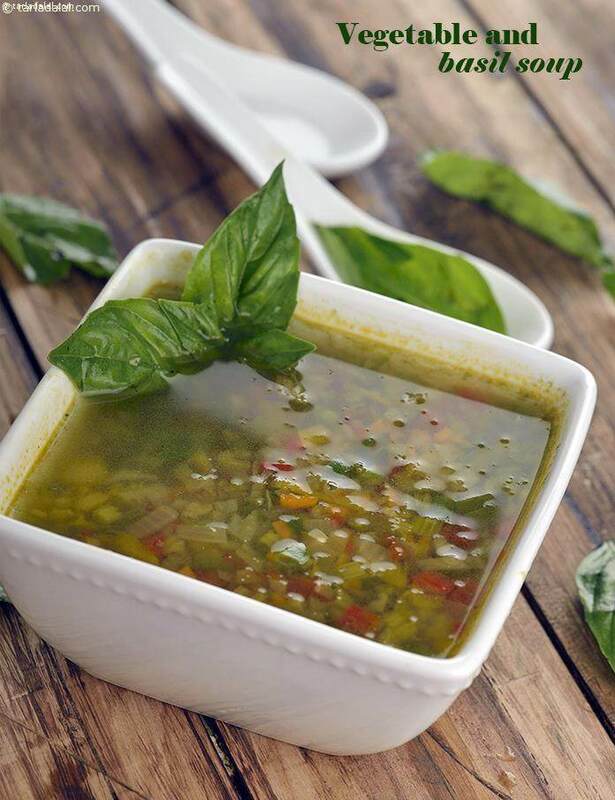 In this section we have mastered the art of making piping hot soups which are extremely healthy and flavourful. Add in your favourite veggies to make clear soups like Clear Broccoli and Carrot Soup, Mushroom and Barley Soup, Spinach and Chick pea Soup, Vegetable and Basil Soup and so on to gain some omega 3 fatty acids from olive oil. Of course for an added benefit just sprinkle some roasted and powdered flax seeds on your bowl of hot soup and you are all set to go. These omega 3 fatty acids are needed for brain development and memory, to support cardiovascular function and to reduce inflammation thus reducing the threat of diseases like cancerand arthritis. So don’t cut down on the fat completely, choose the right type in right quantity to climb the ladder of health. Go ahead and explore these recipes, but avoid that refined bread as an accompaniment and instead opt for healthy salads to complete your meal.